What you eat for breakfast sets the tone for the rest of the day. 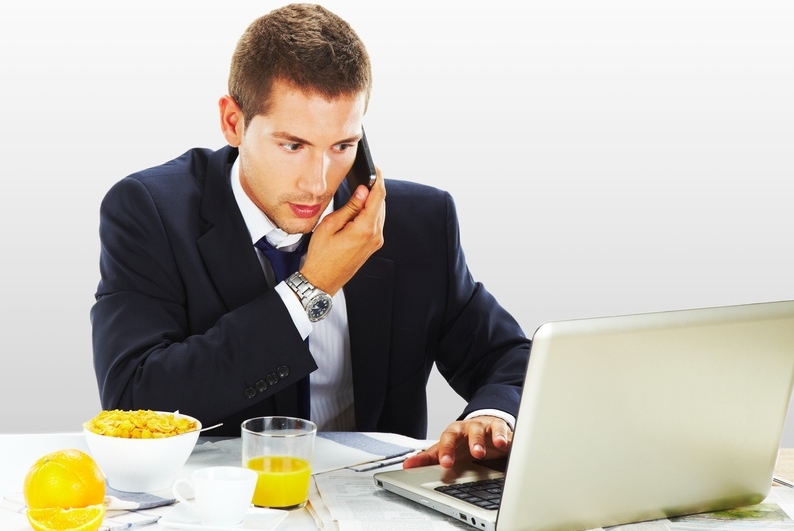 Eat a sugary or highly processed breakfast and your blood sugar and insulin will spike. This can cause more hunger, carb cravings … and fat storage. This is the last thing you want it you’re trying to lose weight! The best breakfast for weight loss includes protein, fiber, fat, and a healthy carb. This combo will keep you feeling full and will avoid blood sugar and insulin spikes and drops. Hello overnight oats! Overnight oats can be a great change from the typical egg breakfast. The trick will be what you add to the oats and of course, your portion size. 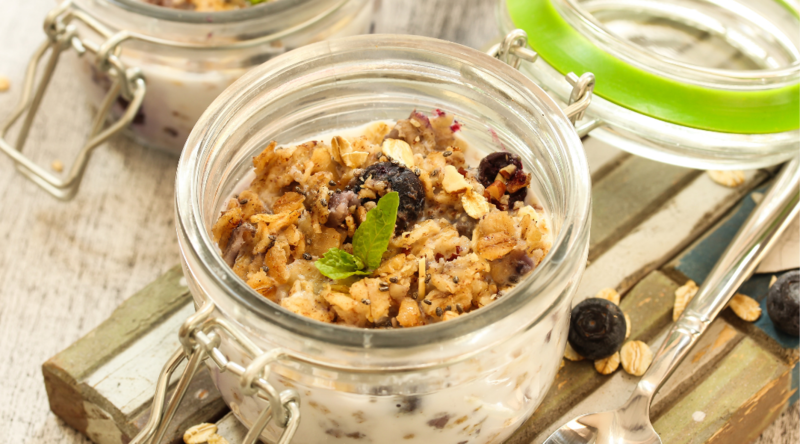 Read on to get my top 10 overnight oats recipes for weight loss. You’re probably thinking how can a high carb breakfast like oatmeal help you lose weight? If you’re envisioning a big bowl of oatmeal loaded with brown sugar and raisins, you’re correct … it won’t help you. The secret is to eat a moderate portion of oats and balance it out WITH added protein, fat, and fiber. 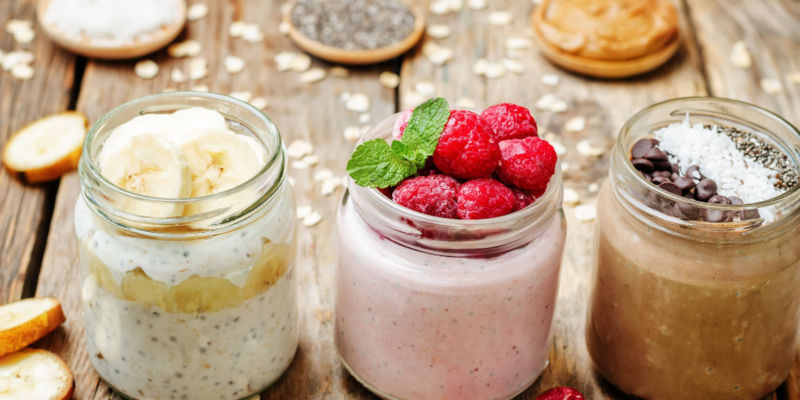 So how can overnight oats help you lose weight? 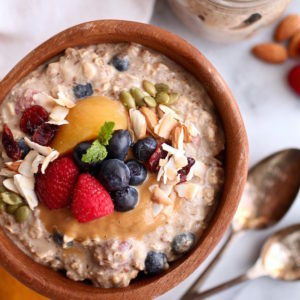 Overnight oats contain a prebiotic fiber called resistant starch. 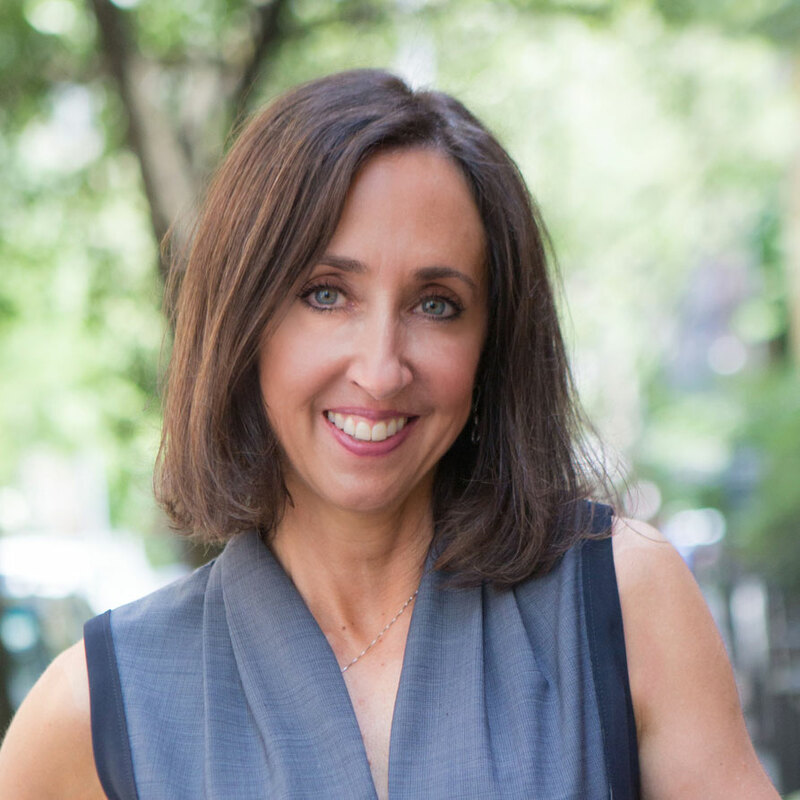 Your body doesn’t digest this fiber and it passes through your digestive system to your gut. Here it’s fermented by the bacteria in your gut and helps to promote a healthy gut microbiome. Studies are linking the type and diversity of our gut bacteria to our overall health, including weight. Raw oats has 28 X more resistant starch as compared to cooked oatmeal. Helps you avoid not-so-healthy breakfast choices on the run … like that 500 calorie muffin in the local coffee shop. Pop the oats in the fridge the night before and they’re ready for you in the morning. What you add to your overnight oats, as well as the portion size, will make or break it as a weight loss breakfast. Studies have shown that adding protein, fat and fiber to breakfast can help promote weight loss. 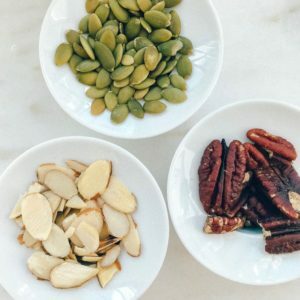 -Nuts and seeds (and nut butter and seed butter) provide heart healthy fats, protein, vitamins and minerals and may help decrease risk of heart disease and diabetes. They also aid in weight control. The protein and fat keep you feeling full longer and blunts the rise of glucose and insulin. Our protein needs are also higher when we are cutting calories in attempts of losing weight. -Protein powder. Add your favorite plain or flavored protein powder to keep you feeling full longer. 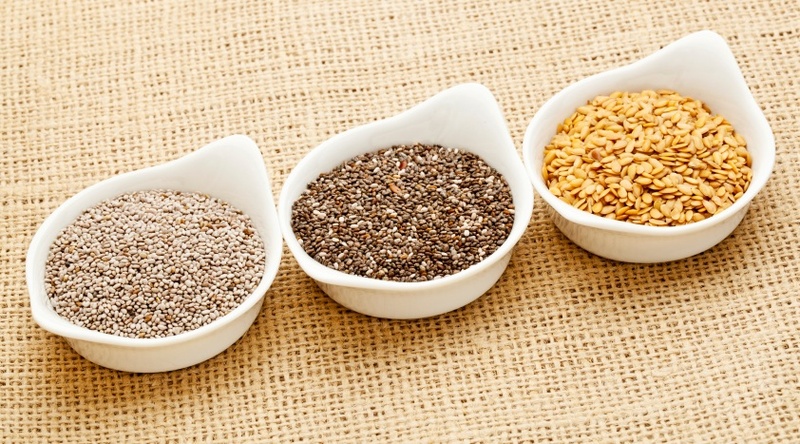 -Chia/hemp or ground flaxseeds help to keep you feeling full longer and slow the rise and fall of blood sugar and i nsulin. Studies have also shown that higher fiber diets are associated with weight loss. Fruits such as berries also provide fiber. -Antioxidant rich fruit such as pomegranate seeds and berries. Studies have shown that blueberries and raspberries improve insulin resistance, which may aid in weight loss. – Cacao powder or nibs. Other: Cinnamon. Not only does this add flavor, but it may aid in blood sugar management. Personally, I find it takes away the need to add a sweetener. 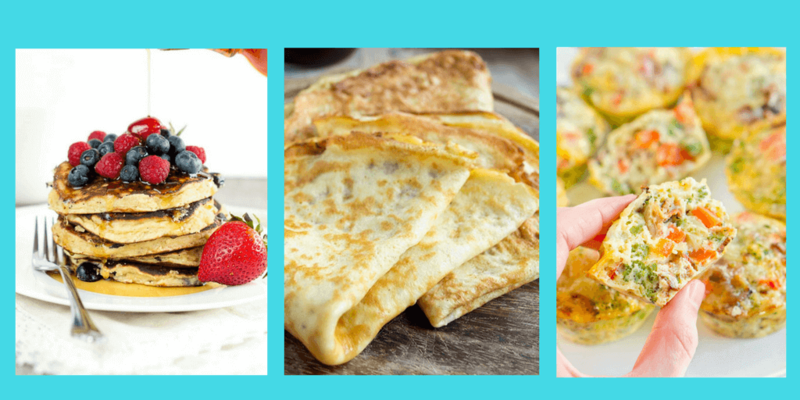 My nutrition intern, Catherine Scott Fischer, did recipe round-up and came up 8 recipes with 350 calories and 37 grams of carbs or less. Some of them contain as much as 26 grams of protein. You may also want to read my previous blog post on How to Make Overnight Oats. 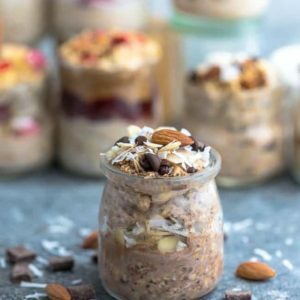 Coco Bliss Overnight Oats: This recipe from Catherine Scott Fischer will definitely keep you feeling full and satisfied until lunch! 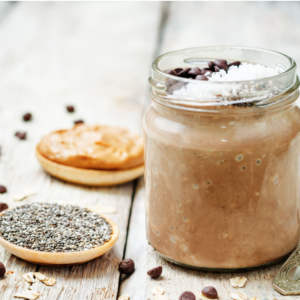 The chia seeds and rolled oats give it a great boost of fiber and the peanut butter provides a good source of fat that helps keep you fuller for longer. -Pour milk of choice in mason jar, bowl or Tupperware. -Add chia seeds and stir. -Add shredded coconut and stevia and rolled oats and stir. -Add peanut butter, making sure it is well incorporated. -Pop it into refrigerator overnight. -Take it out of fridge and dig in! Sugar Cookie Overnight Protein Oatmeal : by wellplated.com Are you a dessert for breakfast kind of person? This recipe tastes like a cookie out of a jar. The greek yogurt not only makes it that much richer and creamier but is a great source of protein in addition to the protein powder! Note: 1/3 cup of rolled oats instead of 1/2 cup. Blueberry Muffin Oatmeal: This recipe is adapted from the baked oats queen – itstaylermarie.com! It’s simple and it’s a lower calorie option for those who are not that hungry in the morning and want a smaller meal. -Add chia seeds and cinnamon and stir. -Add mashed banana and rolled oats and stir. -Put it in refrigerator overnight. 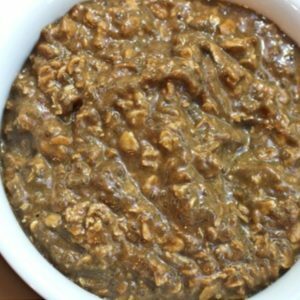 Almond Joy Overnight Oats: by lifemadesweeter.com Had to include a creamy chocolatey recipe because who doesn’t love chocolate? It’s perfectly paired with slivered almonds on top giving it that perfect crunch to complement the smooth base. Carrot Cake Baked Oats: by itstaylermarie.com. Carrot cake in general is one of my favorite desserts, but carrot cake for breakfast!? Yes please! The addition of carrots is a great way to incorporate some vegetables in your breakfast. Not to mention it is a great source of vitamin A which is a powerful anti-inflammatory antioxidant that aids in the proper function of our skin, vision, lungs, and immune system. -Add chia seeds, cinnamon, ground nutmeg and stir. -Add mashed banana, grated carrots, rolled oats and stir. -Take it out and top it off with walnuts. 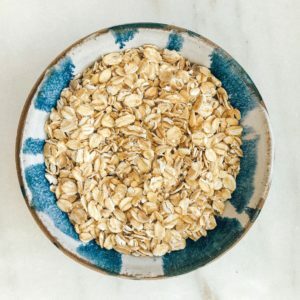 Overnight Quinoa Oats: by nutritioninthekitch.com When we think of overnight oats we think of rolled oats, steel cut oats, etc. 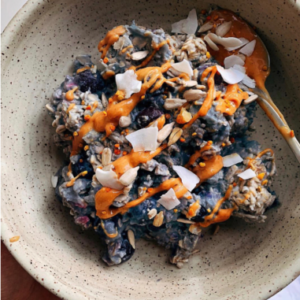 Yet, this recipe contains an ingredient you wouldn’t think belongs in overnight oats but makes a great nutritious addition. 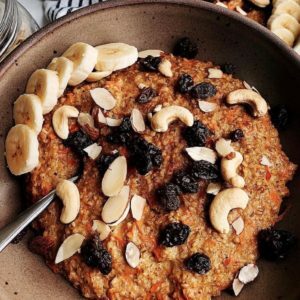 Oats and quinoa make for a perfect duo, wait till you try! 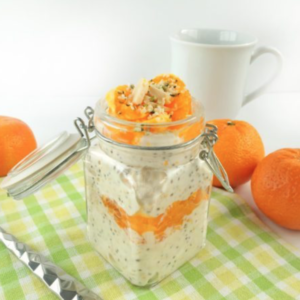 Creamy Orange Overnight Oats: by nutritionstarringyou.com Who doesn’t love a cup of freshly squeezed orange juice to kickstart your morning? The addition of oranges in this recipe adds the perfect touch of sweetness and flavorful burst to the smooth greek yogurt base. Not only will this creamy creation give you a boost of vitamin C, it is also packed with 24 gm of protein! 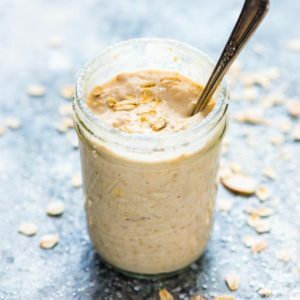 Gingerbread Pumpkin Vegan Overnight Oat Parfait by ohsheglows.com. Spices are nutritional powerhouses and are a great addition to any meal as they add so much flavor! This recipe incorporates a nice blend of spices and is so flavorful. I’d like to thank Catherine Scott Fischer, nutrition student, for doing this recipe round-up! What are your favorite combo’s for overnight oats?